I have been extremely remiss in writing on this blog and I apologize all over the place. Unfortunately, something know as life has prevented me from being more diligent. As a sort of a 'catch-up' post, I thought I would do one of my favorite things: a list. So here is a list of the things I am doing during my second year of high school. Latin--this is a new thing. I joined a class/discussion group this year and part of the curriculum is latin. Once I got the idea through my head that no work, no gain, it actually became rather enjoyable. I hope that it will make Spanish easier to learn--and English to understand. Biology: I admit, I'm behind the conventional curve with science. But as long as I get the required credits in, it'll all even out in the wash. My class (my mother wasn't excited to have a squeamish student learning hard-core science like that in her house) started two weeks ago and so far I am enjoying it. We'll see how I feel when it comes to dissection. I'll just keep telling myself that it could be, and has been for people I know, worse than dissecting a pig fetus. Moving on. Math: We did math through the summer, but I'm ashamed to say that I slacked off for a good part of the year on Algebra and now I am paying dearly. However, for the last couple of weeks my teacher-of-all-subjects has sat next to me to make sure that I understood what I was learning and I admit, it has eradicated the feeling of throwing spaghetti at the wall. She calls it 'Algebra Camp' and I call it...well, never mind what I call it. It's not the most fun experience in my life, but I'm sure it won't be the worst. I'm just glad I have this option. Reading/History/Language Arts: These three subjects really fit in together. I'm not entirely sure what particular time period in history I'm doing (I'll probably pick books off of the Ambleside list, but we shall see). The group mentioned above seems to have an essay assignment every week, so my writing better be good by the end of this year. Miscellaneous: I hope to start giving violin lessons to beginners, and perhaps finish sewing my 1940s costume--which I started a long time ago. Those are my hopes, but it seems that my main accomplishment in my free time is deep-cleaning my room (I'll get pictures up as soon as possible on Lucie Land) and sleeping. Does anyone have ideas about adding hours to the day? I'd sign a petition. Well, I suppose that's all for now. I'll attempt posting some of the things I write for school here. I have fallen in love with the writing style of O. Henry. Perhaps it was the wit, perhaps the incredible way he could turn a story. Oftentimes, his story was comedic, sometimes they were philosophical. He could give his characters complex personalities, tell an amazing story and give it a wonderful ending all in the space of a few short pages. And, as a bonus, he lived for a time in my home town, San Antonio TX. Do read the stories...I'd really love to hear what you think! To read a free copy of his stories click here. 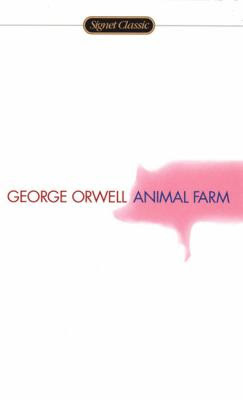 This witty satire by the British author George Orwell is a very intelligent and creative warning about the rise of communism and Stalin's regime. The story starts with a wise patriarchal pig gathering the farm animals around him and telling about a dream he just had. Their human oppressors will be overthrown and the animals will live together in peace and cooperation. Not only does his vision divulge this veritable Utopia, but the ancient and long lost song "Beasts of England" is revealed to him. Soon after, the old pig dies, and the animals indeed do revolt against the humans, using this vision and song as their talisman. At first, though life is hard and full of work, the animals feel their freedom like an exhilirating breeze. But the remaining pigs start to subtly become more and more ambitious until things seem to be taking a U-turn back to the days of the humans. Of all the books I've ever read, this book probably is most comparative to The Lord of the Flies in that they both express what a race would deteriorate into if there were nobody to hold it accountable. This book was definitely thought-provoking, interesting and entertaining. 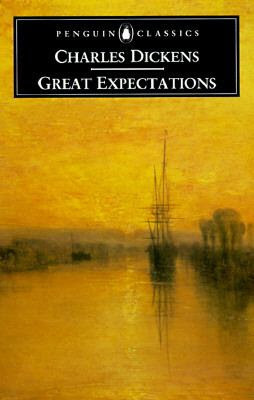 My mother once read aloud an abriged version of Great Expectations to my sisters and me. (My writing curriculum told me to start a book review with a startling statement, so there you have it.) All I could remember of the storyline was that it was rather dark and weird, in the truest sense of the word. I just went back and read the un-adulterated original by Dickens himself. It was absolutely incredible. The story is about a young boy named Pip Pirrip who is living with his older sister, and her husband, Joe Gargery, a blacksmith. Pip lives a content life until one day when he is seven or eight, a convict sets in motion a string of events that promise--or threaten--to change his life forever. In front of a setting of fog, marshes and London, Pip meets with many individuals who open doors for him into a land which he thinks he wishes to enter; the land of wealth and influence; the land of the untouchable. He desires to be a man of Great Expectations. The beginning and middle of the book are wonderful and enthralling: they seem to promise of an epic and renewing ending. But me and my sensibilities found the ending to be rather sad and disappointing, although it was anything but over-used. That being said, I implore you to read the book solely for the storyline and to prepare yourself to be content with the end. Homeschooling is filled with wonders, many of which it is too easy to forget, so I am going write one before the afore-mentioned event occurs. A few days ago, I was watching my math lesson about right triangles, the Pythagorean Theorem, etc. A right triangle is made up of two "legs" and one "hypotenuse." 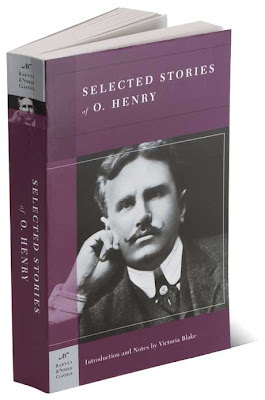 A few weeks ago, I was reading the O. Henry story "Schools and Schools" (I'll have to write about O. Henry very soon--those are some stories that are not to be passed up). The story was about three cousins: Gilbert, Nevada and Barbara. Gilbert and Barbara were raised together, and they have a sort of a tacit agreement that someday they will marry. When Nevada enters the scene, however, that arrangement is upset. To cut a long story short, O. Henry called the trio a "triangle" and Barbara was relegated to the position of "the hypotenuse." I had no idea what that meant until I learned about the Pythagorean theorem. I love it when my educations dove-tails like that. I have been told often and much of the merits of the Jane Austen books, of their delicate femininity and beauty. So at last, I decided that I wanted to see if the reports were true. 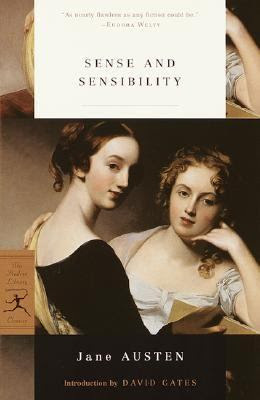 I bought Sense and Sensibilty . The story is about the Dashwood sisters, their romances and their follies. Elinor, the eldest, is a wise girl, more level-headed than any of the rest of her family. Marianne is a few years younger, with a intense and loving heart. They live in the perfect setting for timeless romance: an English cottage in the beautiful and quaint English countryside of rolling hills, downs and dew. Now that I have got that in your head, dear reader, here are the romances. 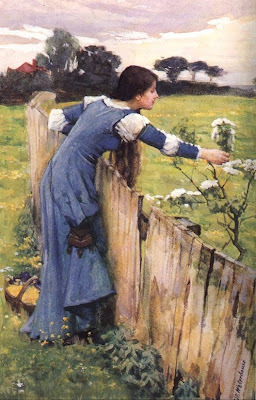 Elinor, who is cautious to a fault, though not wholly without heart, has found herself falling hesitantly in love with Edward Ferrars, an equally quiet young man. Though no real, legal attatchement occurs, everybody, even Elinor, are sure of the impending marriage of the two. For Marianne’s part, she falls passionately in love with the handsome and heroic John Willoughby, and it seems that he truly loves her in return. The two girls’s story is full of twists and turns, unexpected incidents and rivalry. I was simply not expecting a lesson in the wisdom of courtship from this book, but there was one, and that surprised me quite a lot. Although it is not overt, the "moral" (if you must picture me as Mary Bennet, you must) is that a wise mentor to help guide you through the most important decision of your life is most definitely not to be scoffed at. 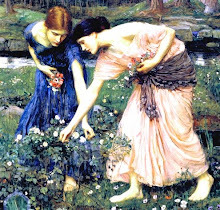 The Dashwood sisters had no wise person to counsel them as to their courtships, the only interested, qualified people in their lives were just as impressionable and gullible as themselves. This made me realize that because not everybody is going to have a wise person to counsel them, having one should truly be counted as a blessing. This book was Jane Austen's first novel, and as such I found that it often had trouble moving forward. Especially in comparison to Pride and Prejudice (which Austen herself called "her own darling child"). It tends to feel as if it is dragging in some places. However, this does not take away from the overall slendidly colorful portrait of regency England. 2. A Tale of Two Cities: by Charles Dickens. Though this book starts out slowly, the supreme sacrifice and love in the end is worth anything. I am putting an excerpt here from the ending because it can certainly speak for itself. The setting is in a cart headed for the guillotine, the speakers are a young woman and a man. "It cannot be, my child; there is no Time there [in Heaven], and no trouble there." "You comfort me so much! I am so ignorant. Am I to kiss you now? Is the moment come?" She kisses his lips; he kisses hers; and they solemnly bless each other... She goes next before him--is gone; the knitting women count Twenty-Two. "I am the Resurrection and the Life, saith the Lord: he that believeth in me, though he were dead, yet shall he live: and whosoever liveth and believeth in me shall never die." ...it swells forward in a mass, like one great heave of water, all flashes away. Twenty-Three. Yes, this is a must-read. 3. David Copperfield: Arguably one of Charles Dickens' best novels, David Copperfield is loosely based on the author's own life. After surviving an abusive boyhood, David Copperfield narrates his journey to manhood, with many loves, losses and lessons .The plot is stellar and each character has a memorable personality--for good or bad. 4. 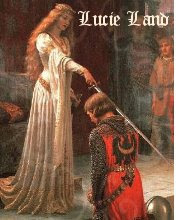 Ivanhoe: is the well-known historical fiction novel by Sir Walter Scott. Set in the time of Richard Couer de Leon, this book paints a remarkable and exciting picture of life during the Middle Ages. With many memorable heroes and heroines, a dilemma between reputation and unrequited love, and many rousing fight sequences, this book ranks high. 5. Watership Down:Though a visceral reaction to this tale by Richard Adams might be "it's about...rabbits???" it really is a book that no library of the brain ought to be without. It is the tale of the journey of a band of dauntless rabbits who leave the safety of their home warren at the seeming whim of a young one who predicts tragedy. They make the harrowing journey to a paradise for rabbits. For more, please read my review. 6. The Mystery of Edwin Drood: a murder mystery written by Charles Dickens--up to the twenty-second chapter. It was sadly interrupted by the poorly-timed death of the author (after all, we'll never know how it was really supposed to end). It has been concluded many times but my favorite one (and dare I say the only one I've read) is by Leon Garfield. The ending is very startling yet--I'm just going to shut up now. 7. Mere Christianity: a book written by C.S Lewis--not a novel, yet a gripping read. It is written so well and so down-to-earth that you can almost hear Lewis' kindly English accent talking to you. It explores the many different facets of the Christian life, bringing new insights to dilemmas and discussing commonplace topics that everyone knows but doesn't give much intelligent thought to. 8. Around the World In 80 Days: the classic written by Jules Verne, Around the World in 80 Days will ring in your memory for many a year. It follows the extremely punctual (if not slightly eccentric) Englishman, Phileas Fogg on an impromptu journey round the world--with a return date exactly 80 days from departure. The book details the culture and geography of many countries in the world. 9. The Eagle of the Ninth, The Silver Branch, The Lantern Bearers: these three books are a series written by Rosemary Sutcliff. Starting with the Eagle of the Ninth, which is about a young Roman centurion, the books covers the history of Ancient Britain from the height of the Roman Empire's power over Britain to its fall and the rise of the real king Arthur. 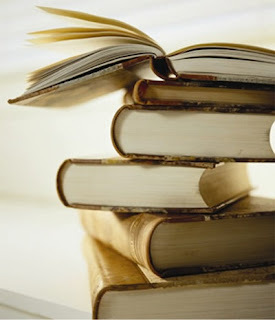 These books really fascinated me with the history of England, especially her Ancient times. 10. The Scarlet Pimpernel: This book by Baroness Orczy tells the tale of an Englishman who takes condemned Frenchmen from under the guillotine's shadow during the French Revolution. The rebel government employs an Englishwoman living in the center of London society to search out and reveal this man. A fascinating story, it has quite a lot of the flavor of A Tale of Two Cities and a dash of the mysterious content of Sherlock Holmes. 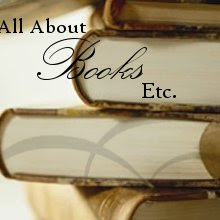 I hope that you've enjoyed this post, and I hope that it has inspired you to want to read these books. I am also advertising for people who also have read and truly enjoyed these books...I would LOVE to discuss them! As a Jewess in medieval England, Rebecca is despised on account of her rank in society, not withstanding her extraordinary beauty. She is the loyal daughter to her father, Isaac of York, a moneylender. When troubles rear up about her, she proves that although she is a pariah, she possesses a laudable amount of mettle. 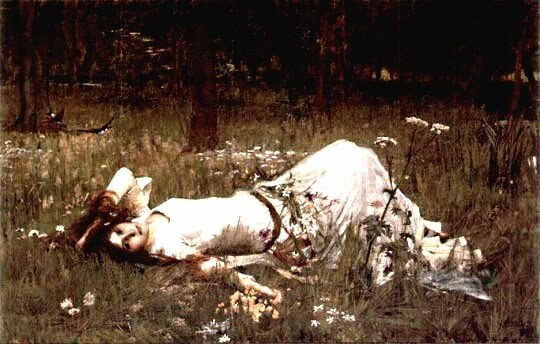 After being captured with her father, the wounded Ivanhoe and the whole of Cedric's household, she is separated from her father. Only by entreating an old resident of their prison is she able to attend to Ivanhoe. While doing so, she begins to fall in love with him, knowing that there is no hope because by all accounts in medieval England, he is above her ethnicity; when Ivanhoe discovers that his healer is a Jewess, he treats her with coldness inherent to his breeding and the culture of his land. Throughout the book, she shows that she is kind, ready to help and has a very humble nature. 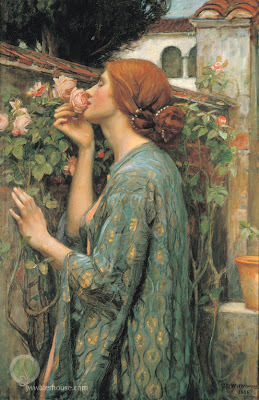 Many readers and critics regard Rebecca as more interesting than Rowena. Perhaps it is because Scott develops her role and personality in the story, making her seem warmer and more inviting than her counterpart Rowena, who comes off as cold and pious. To amend the rather discouraging finale to the story (when Rowena marries Ivanhoe) another Victorian author, William Makepeace Thackeray even wrote a sequel entitled Rebecca and Rowena, in which Ivanhoe is remarried to Rebecca. I suppose that that is one of the advantages of fiction; you can find a way to change it if you don't happen to like the outcome of the story! As the beautiful and delicate protagonist in Ivanhoe, Rowena is the ward of Cedric the Saxon and the lady-love of the heroic Wilfred of Ivanhoe. When she is captured along with her guardian's household, two Jews and a mysterious invalid, she hopes for Ivanhoe to rescue her, but will he be able to? After being taken captive, she is imprisoned in a Norman lord's castle. The way even her captors treat her in contrast to the way her counterpart, Rebecca is treated is striking. Though only a Saxon woman in the power of Normans, her wealth and rank hold sway over their conduct toward her. They are respectful and treat her with a semblance of the way they would their own, whereas Rebecca is regarded as little more than a slave. Over the course of the book, however, she is shown to have a compassionate nature, even toward what was thought of as the dregs of society: the Jews. It can be argued that she is much too frigid and perfect to make a satisfactory heroine and bride of the hero; even after she is kidnapped en masse with her guardian's household, the two refugee Jews and their patient, she remains (only figuratively), above the fray. I can not say what her deeper personality could have been, this facade that is discernible could possibly only be because Sir Walter Scott did not see fit to put her in circumstances that were as desperate as Rebecca's. Therefore, her personality remains what I, the reader chooses: the icy, pious angel or the rather quiet heroine, misinterpreted because of lack of personality. The second installment to this two-part post--Rebecca-- is due out sometime by next week. Please check back.